In 2003 Danish bassist Jesper Bodilsen took initiativ to put together a trio with Italian pianist Stefano Bollani and Danish Morten Lund on the drums. It was a great succes with releases on the label ECM, collaboration with Berliner Philharmonics and concerts at festivals and concert halls all over the world. Now once again Jesper Bodilsen has put together a trio with international standard. The trio consists of the Catalonian Marco Mezquida, the new rising start piano player of Spain, who thrills everybody with his incredible touch and musicality. On the drums is Danish Martin Andersen, who through the years has been regarded on of the best drummers in Denmark. 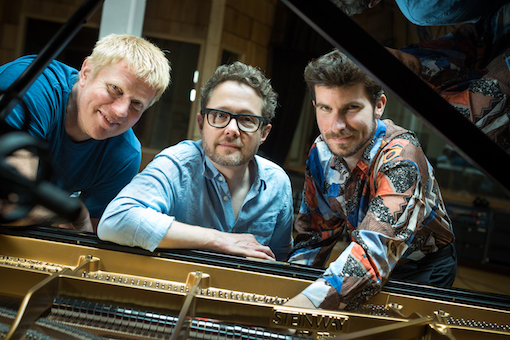 The trio had their debut concert during the Copenhagen Jazz Festival 2017, and right after they recorded their first album. The music is composed by the band members with a few carefully chosen exceptions.